Your fantasy casino is presented walk-up ready. Free Orientation included. 1.) Guests receive initial funds from cashier table and buy chips from their dealer. You want to distribute play money, not chips. Our free “fun money” guarantees control of your chip bank. 2.) Players carry their chips from game to game. Chips have denominations to avoid guest confusion. 3.) Players cash-out with any dealer or teller which eliminates long lines. We include log sheets for dealers to record winner totals, tickets for a raffle or addtional play money for an auction. We’ll make it as easy as 123! 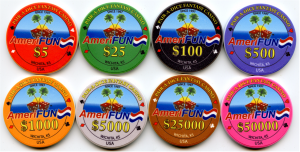 How you operate your fantasy casino in ultimately your decision but look to Amerifun for expert recommendations. 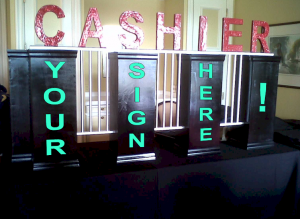 This site is dedicated to self-staffed casino night party rental turn-key services for BUSINESS ENTERTAINMENT and CORPORATE PARTY RENTALS. 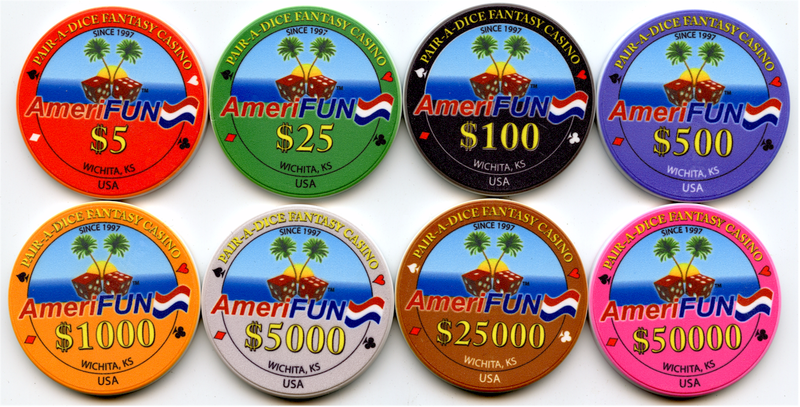 An Amerifun Fantasy Casino Party Rental is an ideal solution for Client Appreciation and employee Appreciation events. Fully staffed games also available if you are planning a Holiday Party or Company Gala. What games should I choose? Don’t worry! We will provide expert quantity and size recommendations, learned from nearly two decades of experience, based on your guest total. Yes! We run frequent promotions. We also offer discounted rates to non-profits and charities. We also do fundraisers (more)! Yes, just ask! 10,000 clients can’t be wrong! Can you explain the booking process? We operate on a first-come first-served basis so as soon as you hammer out a date it’s a good idea to reserve it! We will however offer you the right of first refusal. We require a minimum 20% non-refundable down-payment (deposit may be higher depending on how close it is until your target date). We accept PayPal and Amazon Payments and will send you an electronic invoice for the deposit. Please provide a check for the balance on or before commencement of your event. What about chips and accessories? Game accessories included with all games; chips too (they are actually called “gaming cheques”) with denominations. Also: We A L W A Y S will bring MORE than enough chips, always. For example, let’s say you ordered 3 Blackjack Tables.. these games require a minimum of 1500 cheques but we would definitely pack 2000 if not 3000 just to be safe! Bonus: Denominations from $1 to $1 Million Dollars!! This is at your discretion and we will work with your venue on logistics so you don’t have ot worry about it. FYI: a rental does not require very much lead time. 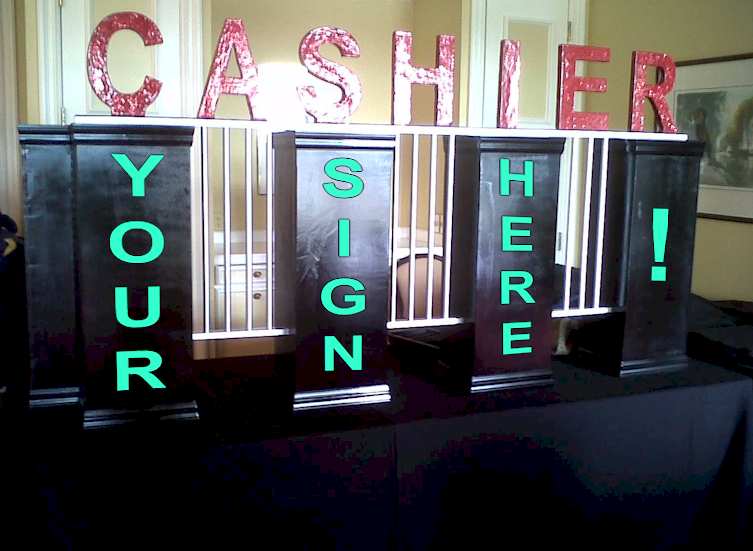 We deliver, setup, train you, get you started and return promptly at the end of the event to tear-down after your guests vacate the space. Please Note: For a staffed event we may require an 8 hour lead-time. Why should we choose Amerifun? It is hard to pinpoint ONE benefit but if we had to say it would be “equipment”; impress your guests! See more in-depth FAQ at our sister site’s CASINO RENTAL FAQ, we’re trying to keep this site simple for you – we know your time is valuable.